Now you can verify all your 1D and 2D symbols with a hand-held barcode verifier without worrying about field of view limitations. The TruCheck Optima™ is our most versatile barcode checker featuring a three-inch field of view. 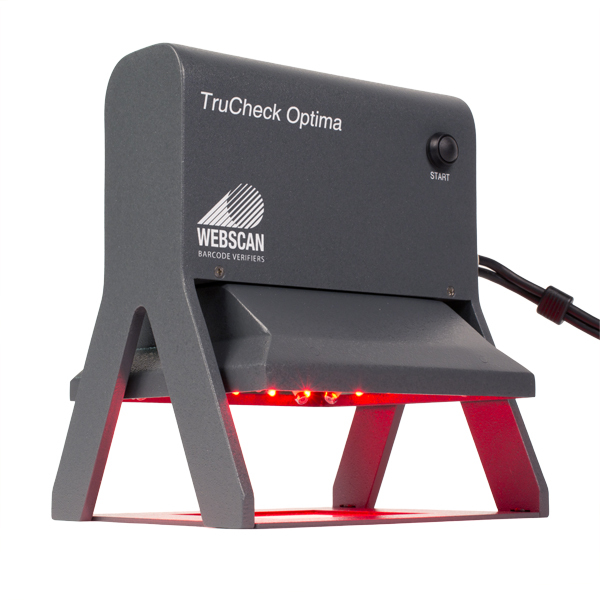 The TruCheck Optima™ from Webscan provides a fully integrated and hand-held TruMatrix™ imaging head that connects to a PC through the USB port. 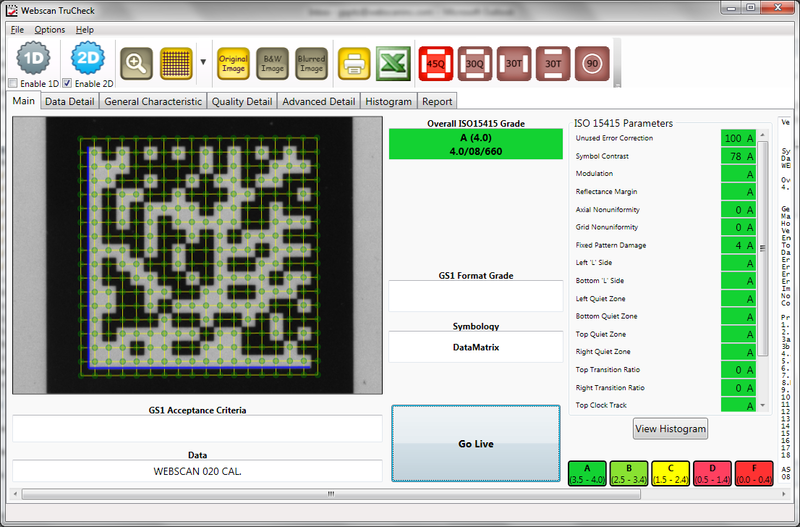 To verify 1D or 2D symbols, simply position the imager over a barcode and press the button. Clear and concise results are displayed instantly. The graphic interface shows operators clearly where potential problems exist. The Optima™ features integrated illumination and a rugged housing. There is nothing to focus and nothing to align. You are guaranteed the most accurate and repeatable verification results. The TruCheck software works with all of our computer based verifiers and provides an easy to use interface to the verification hardware. Comprehensive diagnostic information that goes way beyond simply indicating the barcode grade informs users of quality problems and gives you the visibility into any quality problems that need attention.